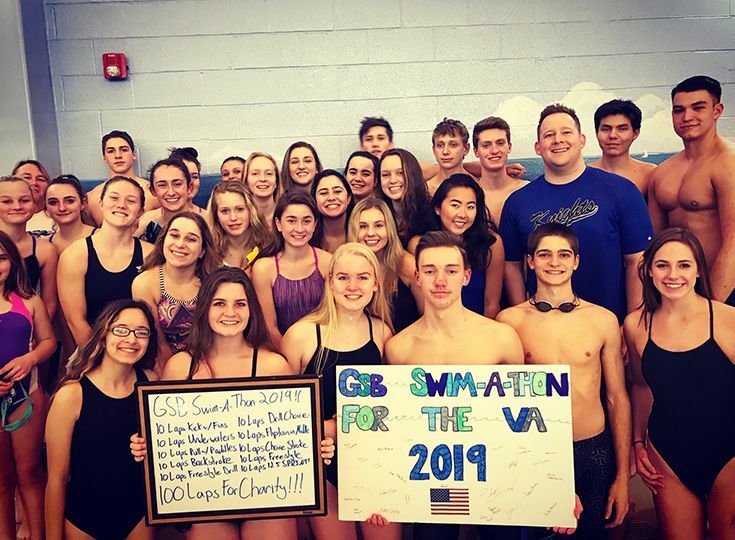 The boys’ and girls’ swim teams participated in the program’s first-ever “Swim-A-Thon” on Friday, January 11, raising over $3,800 for the local VA in Lyons, New Jersey. 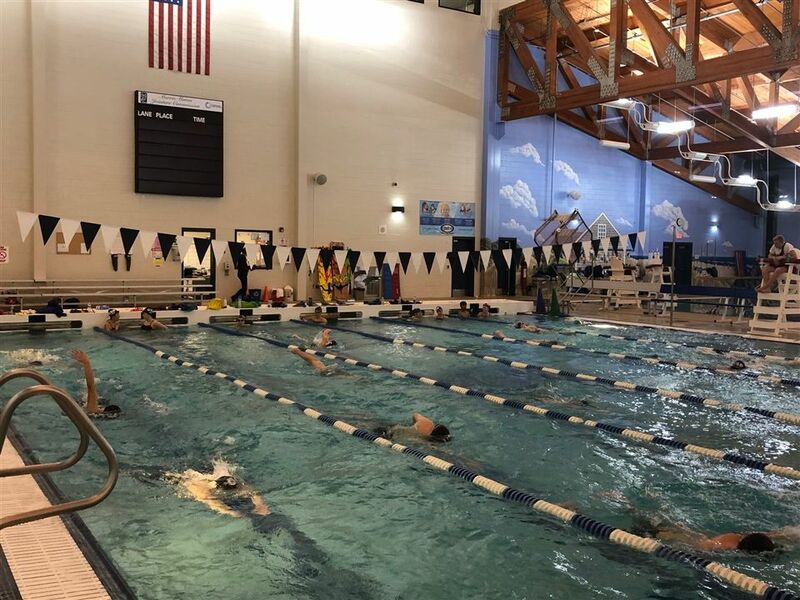 The captains of the swim teams, Christian Ernst ’19, Preston Reep ’19, Rob Brandl ’20, Adrian Massuet ’20, Kelsey Breuer ’20, Caroline Grant ’20, and Rebecca Michaels ’20 came together in late-autumn to determine which organization would be the recipient of the fundraiser. “The VA is doing incredible work in our community, and we wanted to come together as a team and give back to the veterans who have given so much for our country,” said Brandl. Each member of the swim team reached out to potential sponsors to help with the fundraising initiative. Every sponsor pledged to donate a certain amount of money for every lap completed by that swimmer. In addition to the fundraising, the night consisted of music, team-bonding, snacks, and specific swim sets of 10 laps at a time. The swimmers’ exercises ranged from doing underwaters, to freestyle, to sprints. All of the money raised from the event will go to the VA’s Mental Health and Behavioral Sciences Recreational Program, Nursing Home Care Unit Recreation, and their Holiday Gift fund.